JOHN EDWARDS admitted he could not believe his luck when he spotted Sunday League gem Anthony Miller and snapped him up for Studley. Having been impressed by the central defender after going to watch Sunday side Black Horse, Bees joint-boss Edwards was delighted to discover Miller was not signed for a Saturday side. Miller will be in contention for his debut tomorrow (Saturday) when the Bees look to end a three-week spell without a fixture by visiting Chelmsley Town in the Midland League Division One. “I watch a lot of Sunday football and when I watched Anthony playing for Black Horse I was impressed,” said Edwards. “I couldn’t believe he wasn’t signed for a Saturday team. I was rubbing my hands. He was only playing Sunday football because of his work on Saturday but things have now fallen into place. 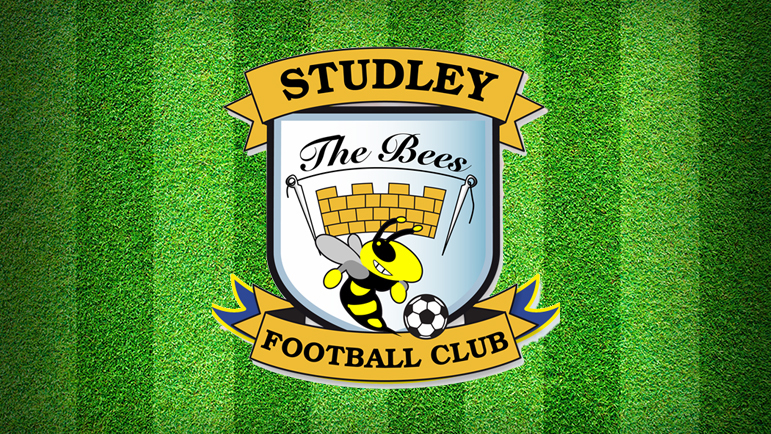 Studley last played on January 19 – defeating Heath Hayes 1-0 – and the weather put paid to last weekend’s home game against Atherstone Town and Tuesday’s planned friendly against Central Ajax. While the break has been frustrating, it has allowed injuries to clear up and defender Edwards and midfielder Sean Cooke are now fit, and Lewis Clarke is recovering from a toe operation. Strikers Jamie Clarke, who was on duty with the England Deaf side last week, and Danny Carter are also back available for face 11th-placed Chelmsley. Edwards is now hoping for some continuity to pick up their form and continue their challenge for the top six. Their inactivity last weekend allowed NKF Burbage to leapfrog them into sixth place by one point, while the Bees have played a game more. “The last few weeks have been frustrating but we’ve been training twice a week and the lads can’t wait to get back playing,” said Edwards. “We need to push on now. “If you had said at the start of the season, we would be sixth or seventh at the start of February I would have been delighted. It’s a really competitive league. “But when I look back at the points we’ve dropped we could have done a lot better. From that point of view, I’m disappointed, even if it sounds a bit strange. Studley will be seeking a league double against Chelmsley, having won 3-2 at the Beehive in September, but Edwards says the trip to Pack Meadow, home of Coleshill Town where Chelmsley are ground-sharers, will be a test. “Chelmsley are fairly decent at home,” he warned. “But hopefully playing on a 3G pitch will also suit us. “We like to keep the ball on the ground and we should be able to do that. Meanwhile, the Atherstone game has been rearranged for February 23.